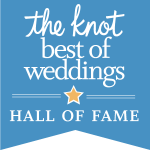 Chi-Town-Weddings was voted “Best of the Knot 2014, 2015, 2016, 2017 and now 2019! Your Dream…Captured! Chi-Town-Weddings will visit all available locations prior to your wedding, walking through the progression of your big day as you see it unfolding. Gaining specific knowledge of your plans, vision, love story, and needs for your special day gives us insight into how you see yourselves and your dream wedding. Chi-Town-Weddings is available to discuss the details of your wedding morning, afternoon, weekends and evenings, so please reach out anytime! Investments begin at $2200 for 8 hours of expert wedding photography. In our experience in the Chicagoland area, wedding coverage typically falls between 8-12 hours. If your event requires less than the 8-12 hour range, please just let us know during the consultation. Add an Engagement Session, 2nd photographer, Photo Booth, DVD Slide show, Videographer, Drone Wedding Photography to customize your Wedding package. Call, email or use our contact form to learn more about our services. 312.738.0104 for details and ask for Robert. During the consultation we will hand you a complete price sheet on all the services we offer. We look forward to meeting you and would be honored to capture the moments during your wedding day. The following features can be added to customize your Wedding experience.